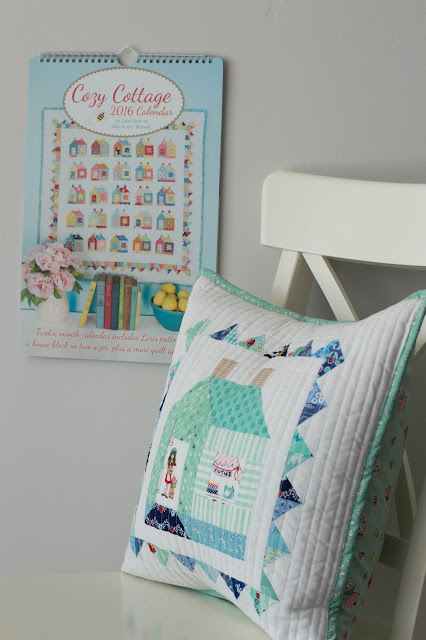 Sharing one of Lori Holt's pattern designs is always fun. 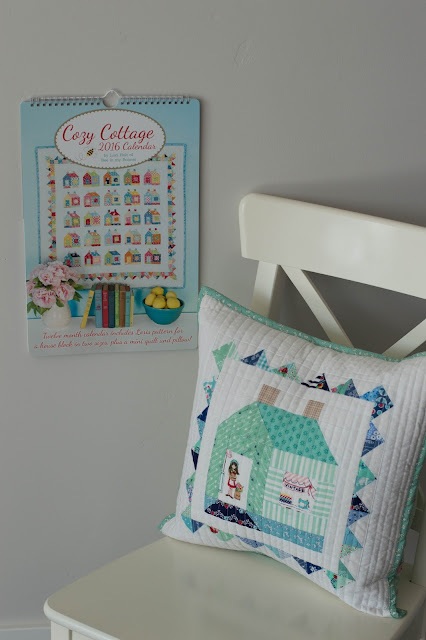 I love her cottage theme and tried to keep a similar theme only with a beachy twist. Those of you who know me, know that I am slowly converting my home to my beach house. This is my rendition of a beach house pillow...of course I only use the best fabrics made by Riley Blake Designs and Penny Rose Fabrics. 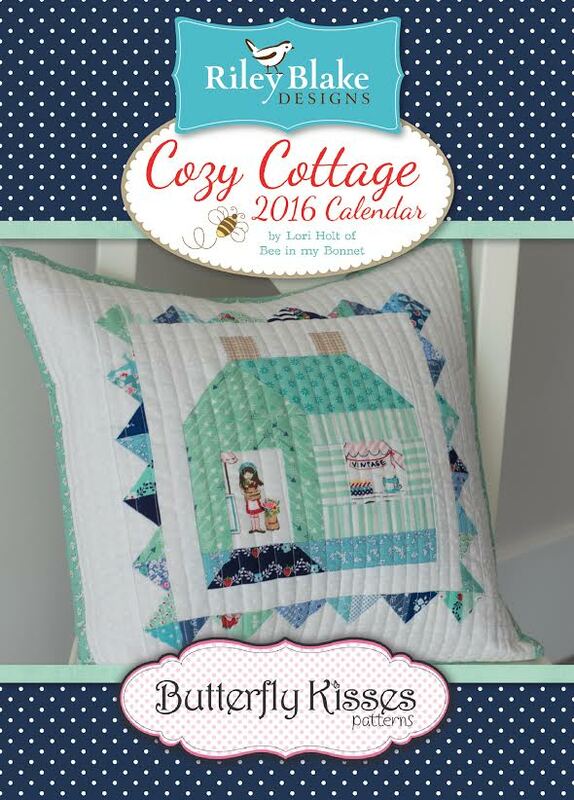 Lori's cozy cottage. Click here to purchase. 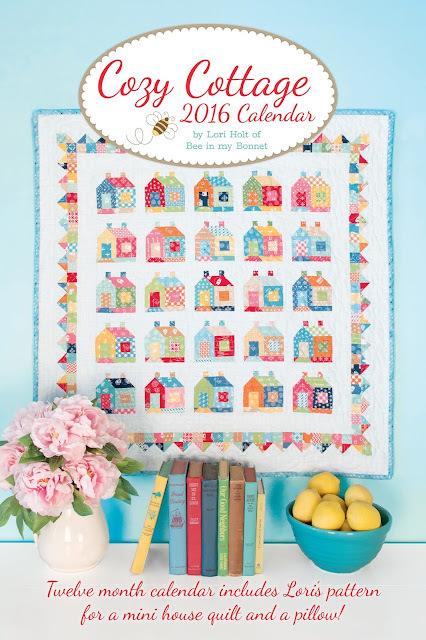 Don't you love the quilt featured on the front of the calendar!!! 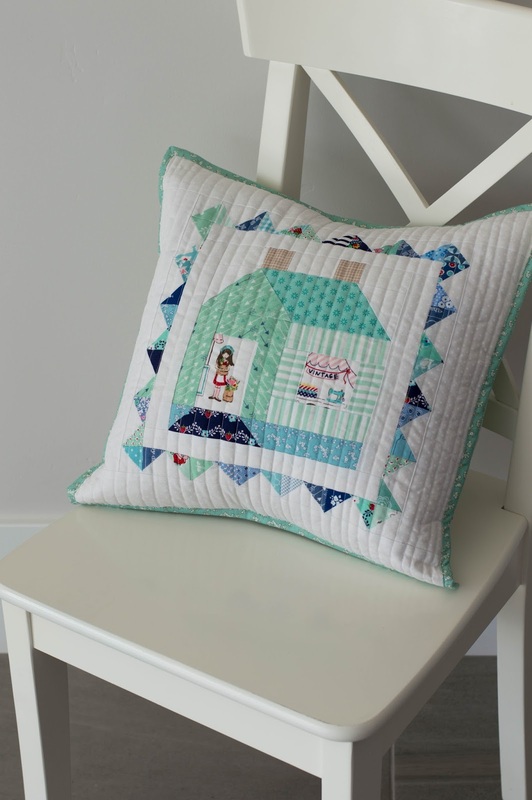 Choosing beachy colors was fun...mints, light and dark blues all come together for this cozy cottage beachy pillow. Looking at this pillow takes me to my happy place. It makes me think happy thoughts and cozy cottage feelings. Thank you Lori for continuing to inspire us all. 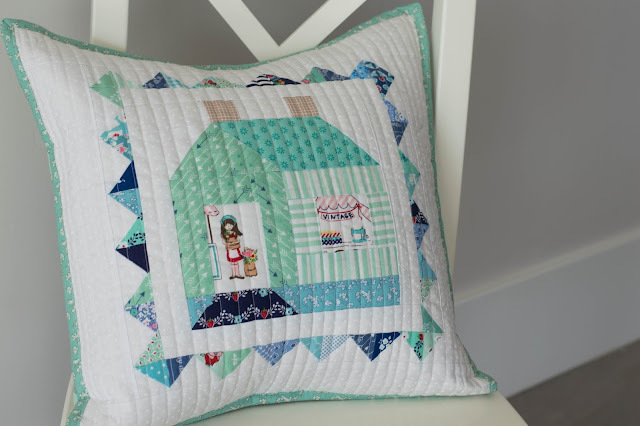 I dream of days sitting on my porch sewing my applique projects and listening to the waves hit the sand and watching the sun set...in the meantime I will keep making cute projects for my beach house. P.S. Please check out the other blog posts below! I love your fabric choices, color palette and fussy cutting! Thanks so much for taking a turn in this weeks hop! Really adorable pillow!! Love your colors, so fresh and happy!! This is absolutely beautiful!! 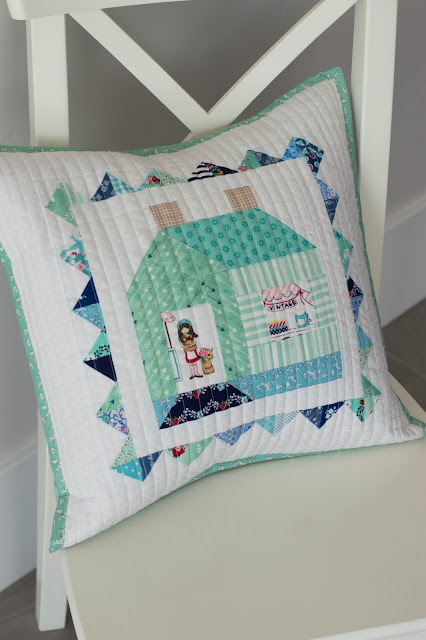 Love the colors and fabrics used. Now I too, will dream of sitting on a beach front porch. I can already hear the waves :)! Love the colour palette you chose! So pretty! Adorable!!!! I love your pillow and the colors you chose. Love your pillow! Great job! I already have my calendar and can't wait to hang it next year! Ditto Jina - you made the Cozy Cottage blossom! Love the colors and uses of fabric fussy cutting. So cute.